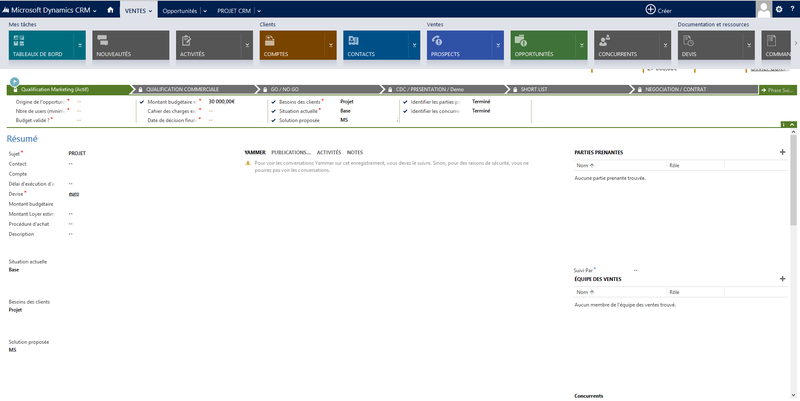 Microsoft Dynamics CRM helps your sales team to be more efficient in an increasingly complex environment. With the right advice, information and tools, they will be able to target clients and priorities more easily, close deals more quickly and encourage customers to make solid commitments.Thanks to optimized team collaboration, sales will also be faster. 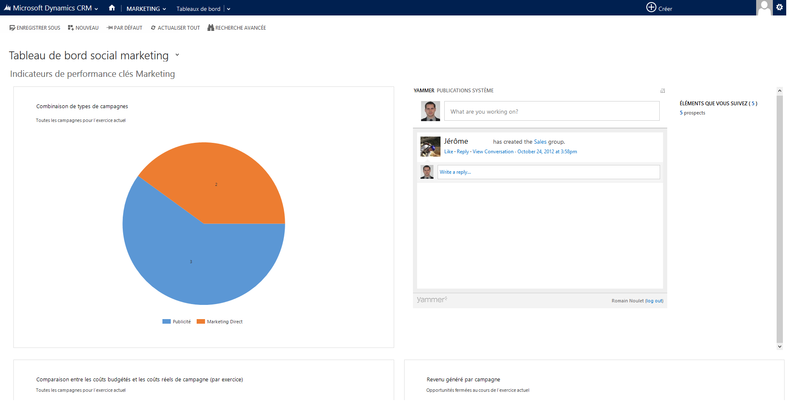 Microsoft Dynamics 365 is a highly collaborative CRM with a range of features to help you increase your sales performance. Main distinctive features include highly adjustable dashboards, automatic analysis of social media in order to enhance your contact files, and instant information sharing amongst co-workers so you can engage more efficiently with your customers. Commercial activities (sales process, relaunches, cross-selling) and customer service (support, case management, escalation) are automated. Marketing activities and sales or email campaigns are integrated into your software. This allows you to target up-to-date contacts in order to achieve your ideal conversion rates. Microsoft Dynamics 365 offers mobile access to the CRM and an application availability rate of 99,9%.